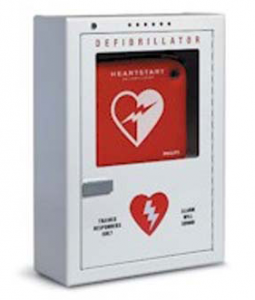 Arrow Benefits Group has allocated an unprecedented $100,000 in order to place AED (Automated External Defibrillator) machines with employers throughout the local community over the course of the next five years. This builds on its Arrow Wellness Initiative, which was established two years ago to offer free CPR and first-aid classes to its clients and the community. Arrow’s funds will be donated to clients who wish to purchase AED machines for their business location. To help implement its CPR and first-aid training, as well as AED installation, maintenance and registration, Arrow has partnered with the Petaluma Health Care District’s HeartSafe Community initiative and Healthquest training center.